Watch: Couple Sings Your Favorite Songs From 2014 In 2.5 Minutes! From John Legend to Taylor Swift to Coldplay. 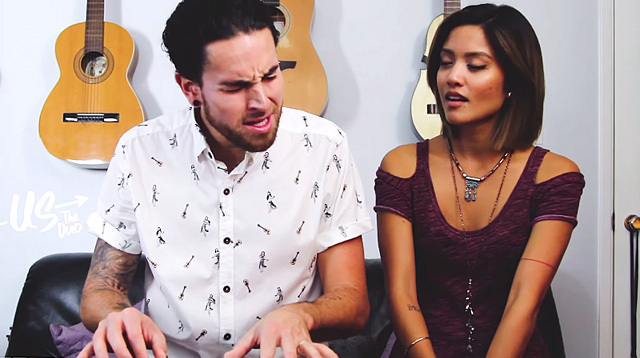 You've probably seen this married couple do #6SecondCovers on Vine. Michael and Carissa Alvarado, better known as Us The Duo, cap off 2014 by producing an amazing and LSS-worthy two-and-a-half minute mashup of all your favorite hits from the year.